Patricia from Glittered and Polished brings us Hard Candy Beatle! - Polish Etc. 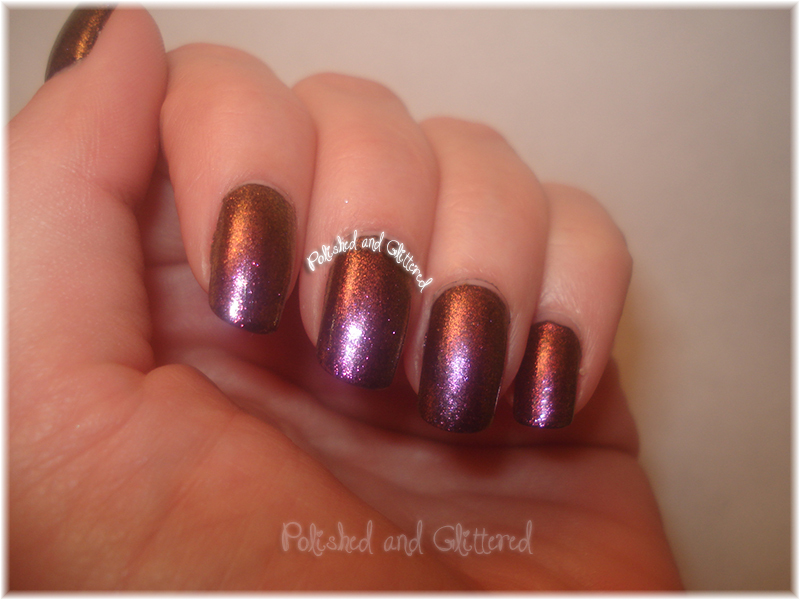 Patricia from Glittered and Polished brings us Hard Candy Beatle! Hi everyone! I am still unable to blog for a couple of days due to some personal issues, but I am happy to have a guest post for you today. I asked around trying to find some guest posts during my absence and Patricia kindly responded! I seriously can't thank her enough. Without further ado, here's her gorgeous mani! Hi there!! 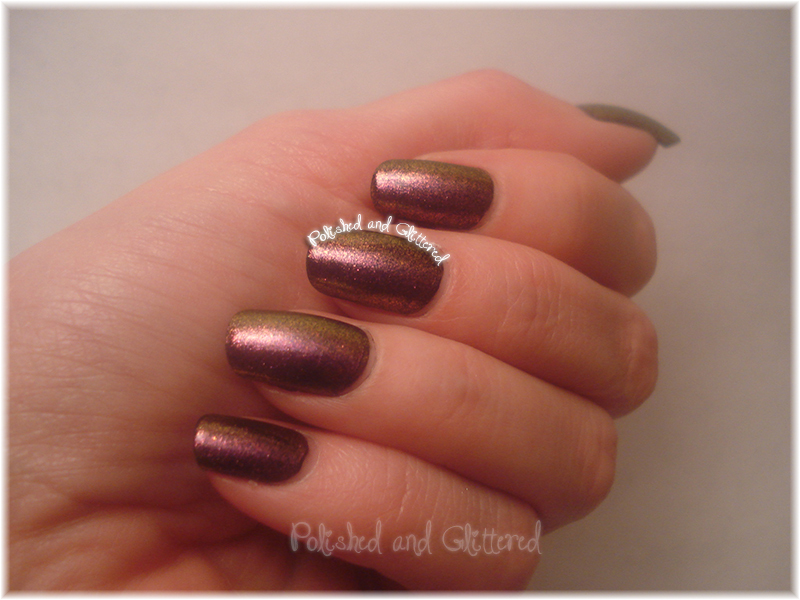 I'm Patricia from Polished and Glittered, and when Rebecca asked for guest blog posts in a group we're both in, I immediately volunteered :D I love Rebecca's blog.. her swatches and nail art are fabulous!! After sitting in front of my polish and pulling them out for about half an hour, I finally decided on doing something I've never done before and that was to layer something over black :D This is two coats of Milani High Speed Fast Dry Black Swift. It's a wonderful one-coater, but I did two because there was some balding in a few areas. Then I layered Hard Candy Beetle on top of the black. Beetle is gorgeous!! It is very sheer by itself, so it's better to layer over another color. If you don't have Beetle, I suggest RUNNING to get it because it's being discontinued! Doesn't Patricia have just gorgeous nails and manicures? I seriously have nail envy here. Make sure you check out her blog Polished and Glittered! Wow, the red-purple shift in that second pic is amazing!